When things don’t go according to plan, it’s best to take a deep breath and go for a run or read a book. Also, it’s a good idea to step back and see our planet through the eyes of an inter-galactic traveler from outer space. Last month, we had gone upstate to make the most of fall hikes in the Adirondacks. Between days of trekking, we managed to visit the Wild Center in Tupper Lake, NY. Spread over 81 acres of forest and grounds, it has elevated tree-top walks, animals, birds, schools of fish, a theater, and a wide array of exhibits that bring forth the past and present of the wild Adirondacks, and with it, the entire planet. The Blue Marble, featured above, is a space-eye view of the Earth as seen by the Apollo 17 crew on December 7, 1972. 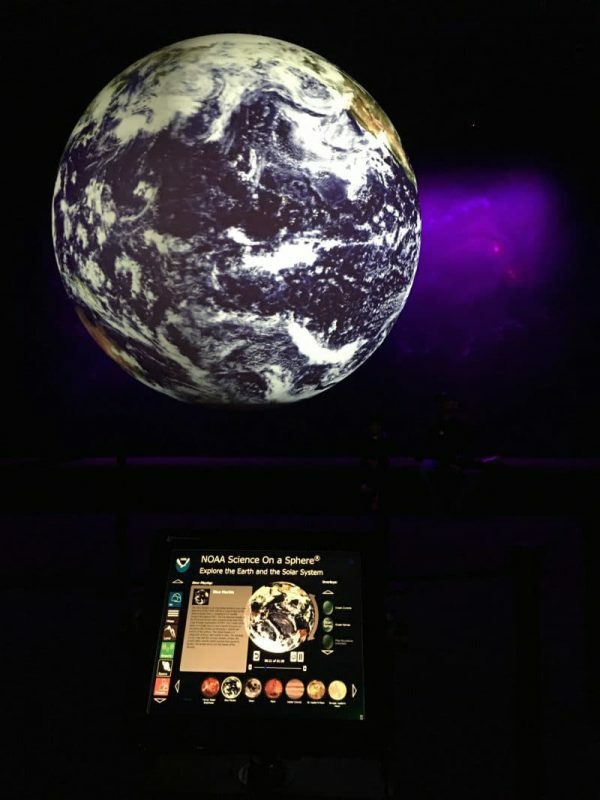 We spent a good part of our afternoon working the interactive kiosk that powered this pretty cool floating globe. We explored other planets (and their moons), stars, storm patterns, ocean currents, and much more. Taking a page out of Carl Sagan’s ever-popular The Pale Blue Dot, here we are, “on a mote of dust suspended in a sunbeam”, so let’s try and take care of our little planet the best we can. With love, courage and kindness.